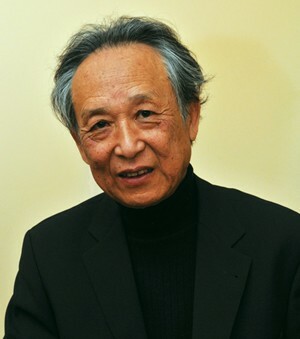 Gao Xingjian, the Nobel Prize remains a free man. The latest work by Gao Xingjian, “The Art of a Free Man” has just been published in France (1), it brings together, translated by Noël Dutrait, speeches made in several countries, interviews or short essays. These texts, dated from 2010 to 2016, are more recent than the essays grouped in “De La Creation” (2) and are much shorter. A beautiful surprise in this latest book, edited by Anne Sastourné, a hundred images (his inks, photos of his plays and his films …) illustrate the artistic vision of the author. This beautiful layout facilitates reading the book which does not have the somewhat arid character of “De La Creation”. Several of these texts deal with subjects dear to Gao Xingjian who writes a short synthesis, but also develops his vision of his films, a subject that will not be commented because previously dealt with. Gao Xingjian, who lives in Paris since 1987, is a man on his own who does not belong to any clique, who stands outside political fashions and trends. As he said to Noël Dutrait (p.126), he went beyond exile. In a 1993 debate in Sydney with the poet Yang Lian (3), they asked themselves what exile had brought to them; an exciting text on language and writing. Gao Xingjian was not like so many others a “professional exile”, always immersed in the past. He quotes the Russian filmmaker Tarkovski (six of his films are being screened this week in Paris), “a great filmmaker he loves,” but all his inspiration was turned towards Russia before his exile. A beautiful 2010 text evokes “national identity, the illness of literature”: “the writer does not speak in the name of the community or in the name of the nation, the country, a party or a people” (p.20). It is the fundamental difference with the politician and “insisting on the national or local aspect of a culture is the hidden consequence of a political necessity”. The writer creates his national culture, he does not have to defend his cultural heritage. Therefore, Chinese writers, settled in the West, can like Gao Xingjian, use a Western language in their work of creation. He has always opposed ideologies, “isms”. As he says in “De La Creation”, “Literature does not have as its mission neither the social criticism nor the development of visions of the world”. But apart from Communist ideology or Nazism, he stresses in his latest book the impact of globalization, capitalist economy and markets with their economic crises. He points out (p.40) that “empty discourses without meaning about freedom and human rights have given way to the laws of profit”. During the 20th century, some wanted to “make subversion a mechanism of renovation”. Yet he reminds us that literature and the arts do not respect the rules of the theory of evolution: later generations are not necessarily better than those of before! Criticism of the tradition, however, has dominated literary and artistic creation in the preceding century. One must be wary of the aesthetics and approach of philosophers who seek to explain works of art and artistic creation. Every creator knows that “if he takes as starting point a concept, a definition, it becomes impossible to create”. On the other hand, we can, we must, seek how to evolve this or that artistic form. 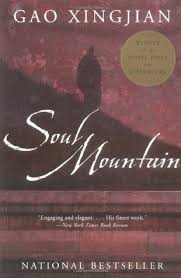 The novel is inseparable from the narrative but we can seek new narrative methods; what he did with the three people “I, you, he” in his major novel “The Soul Mountain”. The same goes with painting, Gao Xingjian seeks “a form between the figurative and the abstract … What motivates this kind of form is neither the re-creation of reality, nor the expression and the personal outpourings of the artist but rather an evocation, with certain images, not really abstract, that the viewer can enrich with his own experience and associations of ideas “(p.126). We cannot deal with such rich and complex topics in a few paragraphs. This book makes it possible to read the latest texts by Gao Xingjian, his approach to his films “After the Deluge” and “The Mourning of Beauty”, but also a play that has been little talked about ” The chronicle of the classic of mountains and seas “(4), which features characters from Chinese mythology in a work dating from the 4th century BC, a play staged in Hong Kong and Taipei. Gao Xinjian and Noël Dutrait will present “L’art d’un homme libre” at the Le Phénix bookshop in Paris on Saturday, October 14 at 5 pm and on Monday, October 16 at 7 pm at the National Book Center. 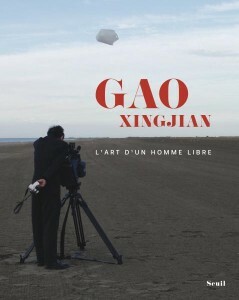 (1) Gao Xingjian, “The Art of a Free Man”, translated into French and presented by Noël Dutrait. Le Seuil, October 2017, 170 pages, 25 euros. (2) Gao Xingjian, “About Creation”, translated from Chinese by Denis Molcanov, Noël Dutrait, Sebastian Veg, Yinde Zhang. Le Seuil, October 2013, 320 pages, 23 euros. (3) “Visit to Gao Xingjian and Yang Lian”, translated by Chantal Chen-Andro. Editions Caractères, 2004, 118 pages. (4) Gao Xingjian, “Chronicle of the Classic of mountains and seas”, translated by Noël Dutrait and Philippe Che. Le Seuil, November 2012, 150 pages.